Incredible glass smooth cuts! 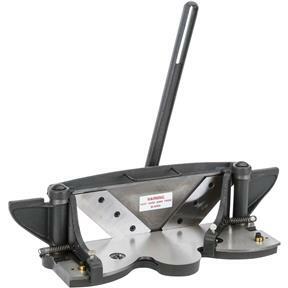 For professional, precision mitering, our miter trimmer can't be beat. 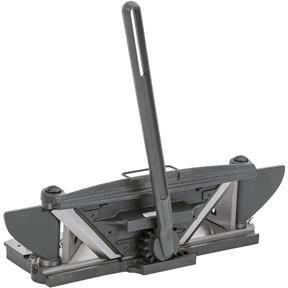 With its cast iron body and razor sharp, high carbon tool steel blades, this trimmer can easily handle picture frames, door frames, molding and more. Features two angle presets at 45 Degrees and 90 Degrees. 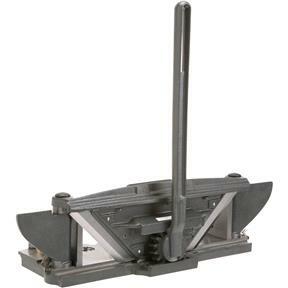 For absolutely clean accurate miters, first make a rough cut with a saw, then finish up with a trimmer. Weighs 35 lbs. 4" max. width for 3/8" wood. Don't be fooled by the low price - this is a high quality precision tool! I build a lot of picture frames and this tool has already provided an improvement in my work. The cuts are extremely lean and exactly 45 degrees. One of my best purchases ever. I have been making picture frames for about a year and really struggling to get perfect miters on my table saw (even with my miter express) they were always just off a very small amount despite my best efforts. Using this miter trimmer they have been dead on and this setup is so easy to use and so quick. 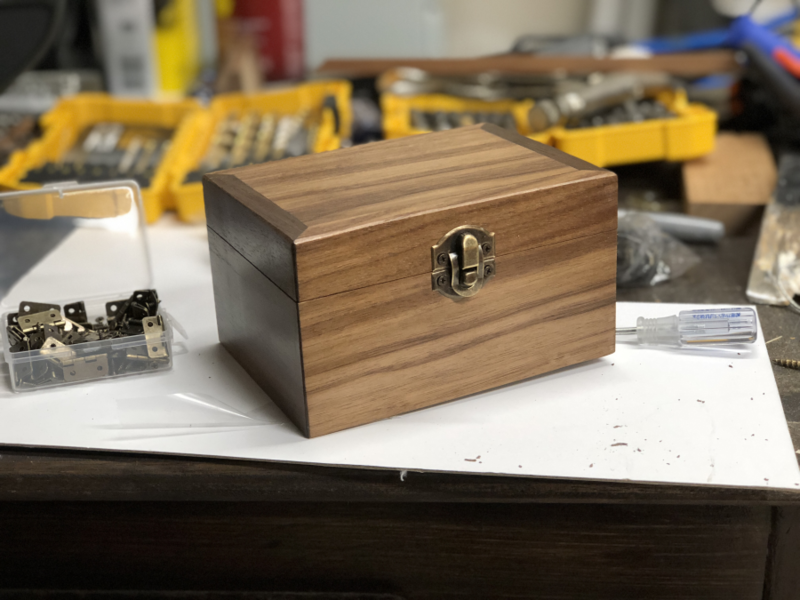 I have also been using it to build small decorative boxes and been having lots of success. Definitely recommend! I bought this to trim custom rope surround for 28 drawer fronts. That's 224 cuts that needed to be perfect. I've done a few tests and this tool will do that. I will be drilling and tapping some 5/16-18 holes for hold down clamps. I want my fingers away from the action. I have a SawStop for the same reason. Although this technology is 100+ years old, this machine is great! I should have purchased one of these decades ago as it makes PERFECT meters! I thought my 80 tooth blade made smooth cuts but they look like they were cut with a chain saw compared to the ones shaved on this trimmer! This has saved me much time when making picture frames or smaller boxes. I highly recommend this machine for the home shop!! Exactly what I was looking for. Clean, crisp well-fitting mothers are easy now with this tool! Thanks, Grizzly!!! I finally found a way of getting perfect corners (ones with no gap). It's taken me years to get to this point and I've been down many, many roads in this endeavor. I've tried so many ways of achieving perfect miters but this little tool is the answer. Waited a long time to buy it (too pricey) but seeing it at about $80 less than normal, I had to give it a shot. So glad I did. Recommend highly.